I Think That Isabella WILL tell him about her fellings for him. Isabella will probably tell Phineas her feelings about him eventually. I think she's just nervous about him turning her down and he's always so busy. If not for those two factors, she might have told him already. I'm sure that she'll definitely tell him eventually though it might take some time. 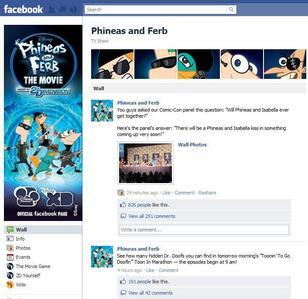 And it was also proven to have a Phinbella kiss in the movie on the facebook page. If tu don't believe it, look at the page and the picture below: link It says, "You guys asked our Comic-Con panel this question: "Will Phineas and Isabella ever get together?" 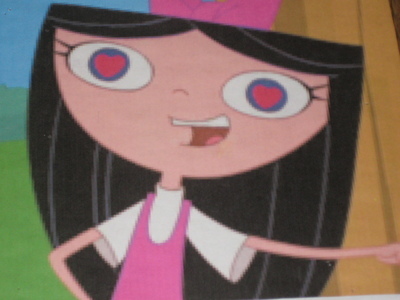 Here's the panel's answer: "There will be a Phineas and Isabella kiss in something coming up very soon!""